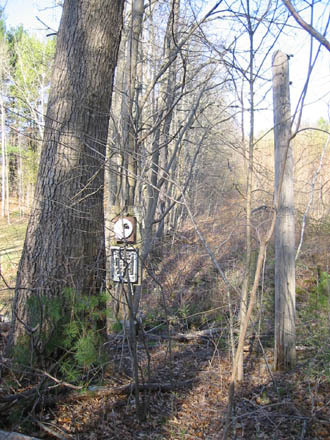 Special note - this area is on private property - please do not trespass, thank you. 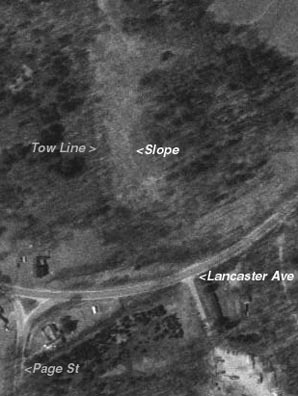 The Lunenburg Ski Tow hill is located on Lancaster Avenue a little over a mile from the center of town close to the intersection of Lancaster Ave and Page Street. It is pretty well grown back in but can still be made out if you know where to look. My family lived up the street from the ski tow from in the late 50's until the 70's. We could ski along the top of the snow banks along side the road to get to the tow . We could then ski across the hills from the top of the tow hill and get almost home! The tows only operated for a few years that I remember although they had been there for some number of years prior to my experiences in the early 60's. The hill had two tows, one that went half way up and another from the top of the first to the top of the hill. The "Upper" tow only ran one or two years, as I remember it. 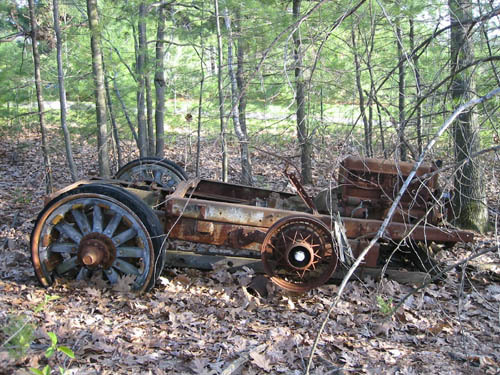 The tow engines, located at the top of each tow, were old car engines still on their chassis'. The rope was driven wrapped around the drive wheel a couple of times. There were lights for night skiing. I remember that the terrain was a bit uneven and for a small child there were spots in the tow track where it was almost impossible to hold the rope up and others where it would pick you up right off the ground. The ski terrain consisted mostly of a reasonably wide slope to the right of the tows as you went up and a REALLY narrow trail down the left side (through the Buckley's property?) which may not have been completely legal, but was a lot of fun. An overhead view of the area. You can still make out the slope. In the early 60's you could ski all day for a dollar! I believe the tows may have been operated by the town parks and recreation department. There was a small warming hut at the base that sold burgers, hot chocolate and the like. An afternoon or evening at the tow was a small town New England affair. Families that could not "Ski In and Out", like we could, would often drop off the kids and leave them for the day. Every one looked out for each other and a great time was had by all! George M. Walker II, M.D. : I lived about a half mile from the Lunenburg ski tow in on Lancaster Ave in Lunenburg. 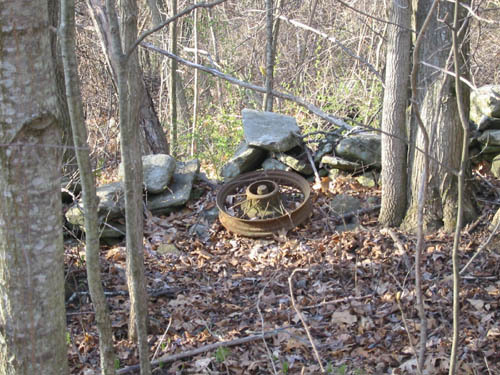 It was located on what was then called Kate's Hill and was operated by the town park department. On many afternoons I would walk up Lancaster Ave in my leather ski boots to the Millers house then ski down the side of the road to the bottom of the tow. The small area and tiny base shack served as a very popular social gathering spot for many families on winter nights and weekends. There was quite a spirited racing program, albeit primitive, organized by Peter Courtney of Lunenburg who, in the 1940's was a world class skier. He was 5'6" tall and was elegant on his 7'2" skis. Sadly this area closed in 1965 but each time I drive by there when visiting "home" many wonderful memories return. 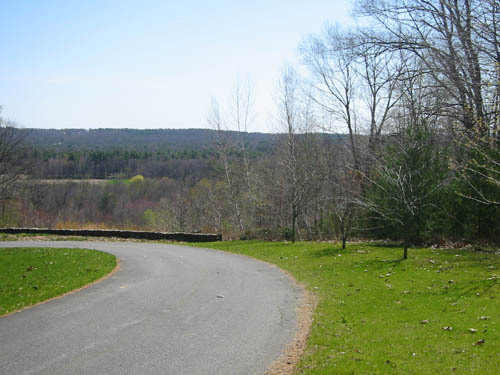 LeeAnn Christ and her husband, Martin, now own the property that once was part of the Lunenburg Ski Hill on Lancaster Avenue in Lunenburg, Massachusetts. 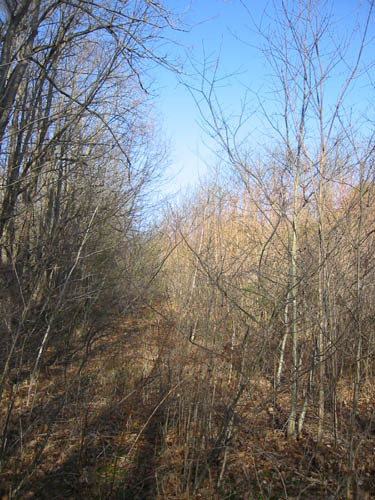 They were kind enough to send us in the following photos, showing the area in the spring of 2004. Please remember that the area is on private property so please do not trespass. Here is looking up the old ski tow from the base of the area, note that some electrical machinery survives, along with a power pole. An old pulley for the rope tow. 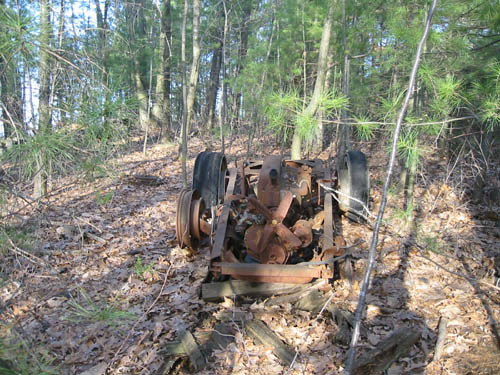 Part of the rope tow machinery. Another angle of the above shot. 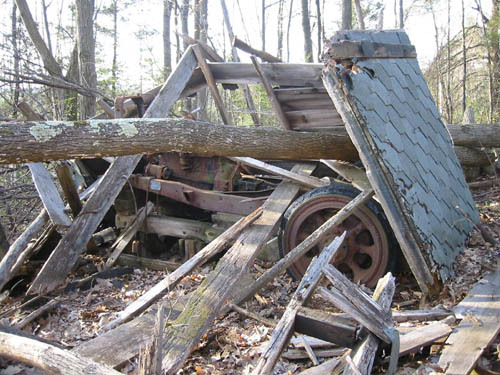 The old engine shack, destroyed by falling trees. 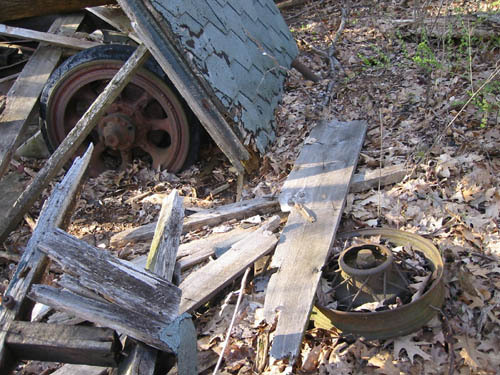 More of the smashed shack. A view of the top of the area today.